This is a guest post by Maggie Aland from Fit Small Business. There are over 3 billion monthly active users on Facebook, Instagram, and Twitter combined. The popularity of social media plus the cost effectiveness of advertising on social media make it an attractive marketing platform for all types of businesses. As a result, social media management jobs in the US are expected to grow by 9 percent over the next decade. You’re going to have competition if you want to hire the best freelance social media manager. That is why we put together this comprehensive guide to hiring a freelance social media manager. Hiring managers don’t always know how to craft the best job description or where to post it. Optimizing your job ad and posting it on a site like Indeed which gets a lot of job seeker traffic will increase the likelihood of candidates responding to your post instead of another. Emerge from the sea of job advertisements. Follow our tips below and attract quality social media freelancers. Your job post on external freelance job boards serves as an advertisement, not just of the job, but of your company brand. Take the opportunity to sell your company. Resist the urge to only include basic information such as location, name, and industry. Instead, introduce your company in a way that excites candidates. Some sites like Monster even let you post pictures to show your workplace, team members and fun team activities. Let’s look at an example from AirBnB. While many companies try to make things interesting by coming up with creative job titles like “Rockstar Social Media Manager,” we’d recommend that you keep the title clear-cut so that your job ad can be found. For example, the job title, Social Media Manager, is more common, and job seekers are more likely to find your job ad if it has a common title. The title “Social Media Manager” brings up over 2,000 job postings on Indeed. 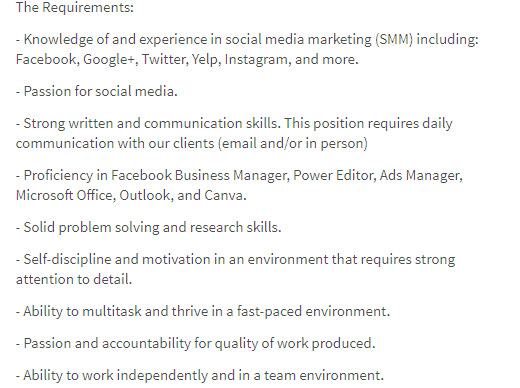 In contrast, “Social Media Rockstar” brings up just 18 job postings on Indeed. Unique job titles are most likely to rank beneath titles that exactly match the keywords searched. Therefore, use a straightforward job title like “Social Media Manager” to increase your odds of being found by quality freelancers. Candidates often use a set of common keywords when searching for a specific job on online job boards. So make it easy for them to find your ad. Briefly include information about your team. Many social media specialists are highly sociable. In fact, they may have chosen this line of work because they love connecting with people. Knowing that they will be a part of a team and not work alone can add to the appeal of your freelancer job advertisement. It is important that you clearly state whether the job requires relocation or if work needs to be done at a particular site. Relocation can be a deal breaker for many qualified applicants, especially those who have a family. On the other hand, if the job is remote, advertise that. Jobs that are 100 percent remote attract many more applicants, so let them know if working offsite is an option. A long boring list of job duties and daily tasks alone can snuff out whatever excitement you’ve managed to arouse. Instead, offer a bird’s eye view of what’s expected from a social media manager. Define the purpose of the position, and how it helps the company achieve its goals. The best candidates are savvy enough to draw inferences about daily tasks as well as the tools used based on the overview alone. A good example of a job overview is shown below. The key here is to keep the bullet list short to avoid overwhelming candidates. You can discuss specifics of each of these job duties during a screening interview. A clearly defined set of requirements helps candidates accurately assess whether they have what it takes to be successful. For example, do you require the freelancer to have a marketing degree? Clear requirements help weed out unqualified job seekers and reduce irrelevant applications that you would otherwise have to look through. As a result, you get a healthy pool of qualified applicants. See an example of clear job requirements below. It also helps if you are clear about which requirements are in fact required and which are merely preferred or nice-to-have. You don’t want applicants to think a nice-to-have skill, like familiarity with Hootsuite, is required as they may not apply if they don’t have that. Adding a preferred skills section calls out your ideal candidates, and gives them more reasons to hit the apply button, but doesn’t weed out otherwise well-qualified freelancers. 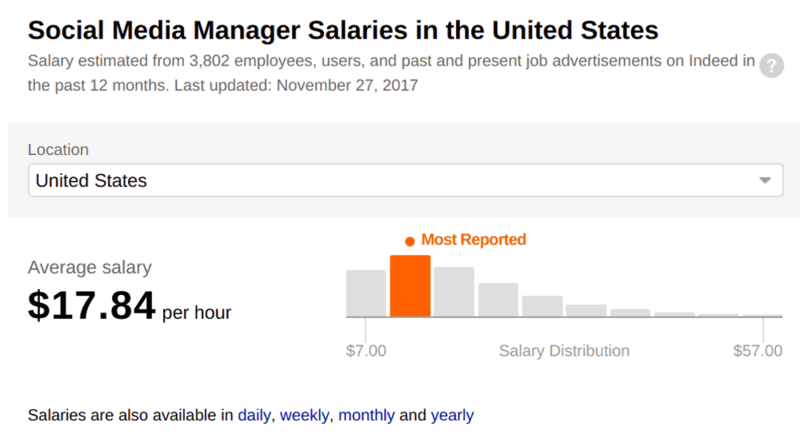 Indeed’s Salary Tool shows that social media managers make around $17.84 per hour. However, you will want to advertise an hourly rate since that’s more common when working with a freelancer. Over 50 percent of US companies do not provide salary details in job ads. If you want to improve applicant numbers, however, consider publishing salary information as part of your ad for a freelancer. Research reveals that including wage details in job ads leads to a 30 percent increase in candidates. Glassdoor survey reports that nearly 60 percent of respondents say that they strongly consider perks when accepting an offer. Perks and benefits sound particularly attractive to freelancers because they know that you are not required by law to offer benefits. It gives the impression that you are a generous employer. To get the most exposure for your job posting, post it in several places. This includes major job posting sites, such as Indeed, Monster, and CareerBuilder. You also will benefit from posting your job to sites that cater to freelancers, such as Upwork, Freelancer.com, and PeoplePerHour. The interview is your opportunity to evaluate potential freelancers as well as provide more information about your company and the job. In a typical employee interview, the interviewer asks questions that gauge the candidate’s knowledge about the company. However, that rarely happens in an interview with a freelancer. Unless you’re a well-known company with multiple locations, stick to questions that assess the candidate’s’ background and technical skills. Here are a four questions you can use or modify. These will provide a good picture of the candidate’s experience and competency in social media management. 1. What strategy do you use to attract followers on social media? If you ask about the candidate’s latest achievements on social media, you’ll most likely get answers that involve improvement in a number of key metrics such as likes, followers, and reach. Brand management expert Emad Abou Elgheit writes that numbers alone do not reflect actual skill level because growth can be due to a host of other factors including strong PR, huge advertising budgets, and a strong personal brand. These are the basics in growing your fan base. 2. What metrics do you use to determine whether your campaigns are successful? The ideal candidate will focus on metrics related to engagement such as number of shares, comments, and mentions. The individual will also look at website traffic coming from social media channels. In addition, the ideal candidate should mention the ultimate metric: conversion rate. Afterall, you are putting money on social media marketing to boost your bottom line. Therefore, this question helps separate the beginners from the real pros. Keep in mind, you are investing in a social media manager to engage customers and drive conversions. A good freelancer will bring you thousands of followers and hundreds of likes, but a great one will engage customers and convert them to clients. 3. How would you reach out to influencers in our domain? If the candidate provides a response with more or less the same strategy, then you’re talking to someone suitable for the position. This shows that the person can grow a social media following from scratch. Whereas candidates with lack of experience in social media management will definitely struggle to answer this question. 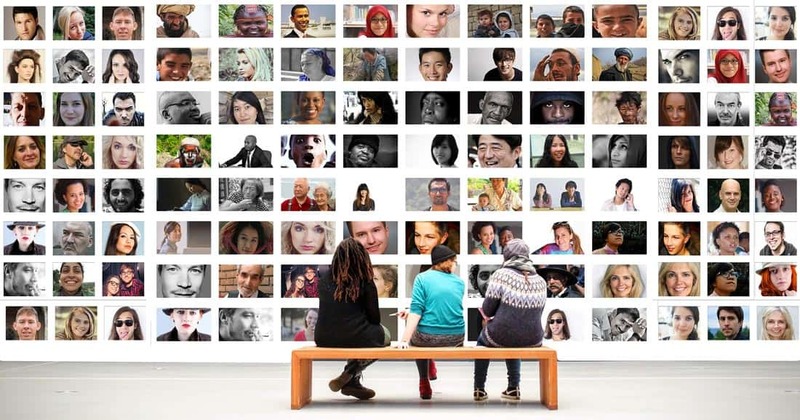 The thought of connecting with influencers to grow their audience may not have crossed their minds because it requires more sophisticated skills than the usual scheduling, comment replying, and content posting. 4. Describe how you’ve helped a brand improve its social media presence? This question allows the candidate to reflect and expand upon their responses to the questions above. You want the freelance applicant to talk about their experience so you can determine whether they have actually executed these skills in a professional setting or merely read about them online. This question should prompt candidates to talk about attracting followers, connecting with influencers, and analyzing the right KPIs. Many freelancer websites like Freelancer and PeoplePerHour provide an option to host a contest for a fixed sum of money. You offer a prize and only pay it out to the freelancer who ‘wins’ by doing the best job. It’s a great way to test many freelancer’s skills before you hire one individual. Or consider running a paid trial period of 30-90 days, especially if you’re hiring a remote freelancer. A trial period, which may be frowned upon in employee-employer relationships, is generally accepted in the freelancing world. While the freelancer interview questions can give you a good idea of the candidate’s capabilities, you won’t know if the candidate is the perfect match for you and your team until you work with them. With these benefits, it is worth the effort to sell the proposition to your top candidates. Let them know that the contest or trial period offers advantages to both parties. On their side, they can promote their skills and assess whether your company, team, and opportunity help them meet their career objectives. And you benefit by being able to try-before-you-buy. Trial periods usually run between 30-90 days. You’ll have more than enough opportunity to get to know the successful candidate personally and professionally in that time. A word of caution while you’re searching for a freelancer. Freelance websites often have a small percentage of scammers who appear to have great prices and portfolios. But some ‘work the system’ by requesting payment up front and not delivering. For example, on Guru, a freelancer can claim a project is complete and submit an invoice that is auto paid. If you’re not careful, the freelancer will get paid even if you haven’t approved their work. Yes it can be remedied most of the time, but in order not to be scammed, clients should request references, view a portfolio and read other client reviews. Even five star ratings are foolproof, but they’re a good start. So use the tips in step 5 to prevent being scammed, and check out the freelancers’ prior clients and client ratings before you agree to work with anyone in particular. That way you as the client have a better chance of getting the work completed, done on time, and not getting scammed. And if you do have a dispute with the freelancer, you’ll have solid documentation if you need help resolving a work product or payment issue. Social media’s rising popularity and cost-efficiency make it an attractive marketing channel for small, medium, and big businesses. Many companies enlist the services of a freelance social media resources to help them increase brand awareness, drive engagement, and fuel sales. If you’re looking to do the same, start by writing a great job ad, conducting an effective interview, offering a contest or trial period and developing a sound contract. And by all means, don’t get scammed.